For orders of 10+ KAPZ products, we have a different pricing structure. 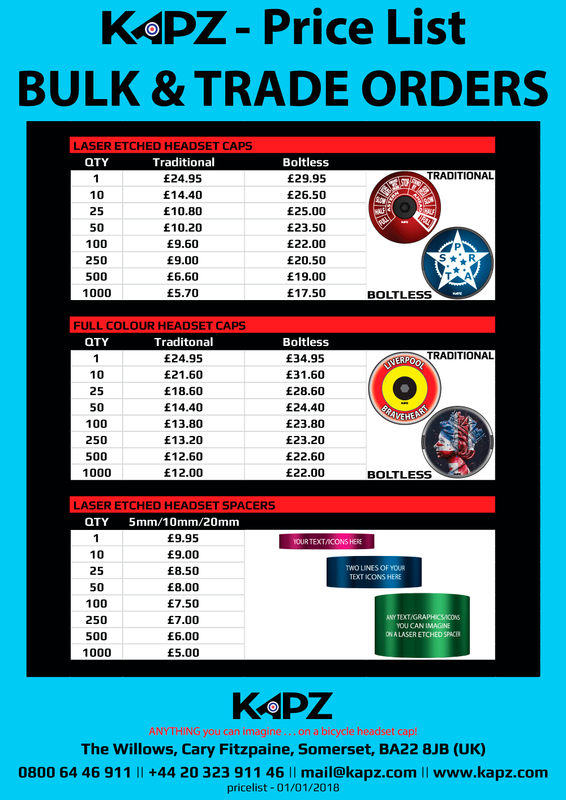 The prices shown include, design, production, a matching bolt (Headset Caps) PLUS the customisation of each product around a common design theme - riders name, slogan etc - there is an extra charge for delivery. Production time is usually just a few days. If you need any help/advice - simply get in touch!